The Nez Perce (autonym: Niimíipu) are Native American people who live in the Pacific Northwest region (Columbia River Plateau) of the United States. They speak the Nez Perce language or Niimiipuutímt, a Sahaptian language related to the several dialects of Sahaptin. Initially successful in their relationships with white settlers, like other Native American tribes they soon found their lands being taken from them. When they were forced to leave their ancestral homeland in Wallowa Valley in Oregon, promised to them at an earlier council, to be relocated in a reservation in Idaho, the Nez Perce resisted and attempted to flee to Canada. They became famous for their "Flight" of over 1,000 miles from Idaho to Montana, ending less than 40 miles from Canada. One of their leaders, Chief Joseph, gave his famous speech as they surrendered, concluding "From where the sun now stands, I will fight no more forever." Despite their struggles, the Nez Perce have retained much of their culture. Their customs, oral histories, and spirituality can be studied in the Nez Perce Historical Park, which has thirty-eight sites spread over the four states (Idaho, Montana, Oregon, and Washington) of the Nez Perce homelands. Nez Perce are active in many areas of contemporary culture, especially offering their expertise in fishing and horse breeding programs. Nez Percé is an exonym given by French Canadian fur traders who visited the area regularly in the late eighteenth century, meaning literally "pierced nose" in French. Older historical ethnological works use the French spelling "Nez Percé," with the diacritic. The original French pronunciation has three syllables. However, this was an erroneous identification as the tribe did not practice nose piercing or wearing ornaments. It is a misnomer given by the interpreter of the Lewis and Clark Expedition at the time they first encountered the tribe in 1805. The most common self-designation used today by the Nez Perce is Niimíipu (The People). "Nez Perce" is also used by the tribe itself, the United States Government, and contemporary historians. In the journals of William Clark, the people are referred to as "Chopunnish." This term is an adaptation of the term cú·pŉitpeľu (the Nez Perce people) which was thought to be formed from cú·pŉit (piercing with a pointed object) and peľu (people). When analyzed through the Nez Perce Language Dictionary, the term cúpnitpelu contains no reference to "Piercing with a pointed object" as described by Walker. The prefix cú- means "in single file." This prefix, combined with the verb -piní, "to come out (of forest, bushes, ice and so forth)." Finally, with the suffix of -pelú, meaning "people or inhabitants of." When all three parts of the Nez Perce word are put together we get cú- + -piní + pelú = cúpnitpelu, or the People Walking Single File Out of the Forest. Nez Perce oral tradition indicates the name "Cuupn'itpel'uu" meant "we walked out of the woods or walked out of the mountains" and referred to the time before the Nez Perce had horses. A traditional Nez Perce beaded shirt. An anthropological interpretation suggests that the Nez Perce descended from the Old Cordilleran Culture, which moved south from the Rocky Mountains and west in Nez Perce lands. 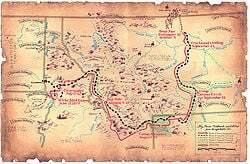 The Nez Perce area at the time of Lewis and Clark was approximately 17,000,000 acres (69,000 km²). The tribal area extended from the Bitterroots in the east to the Blue Mountains in the west between latitudes 45°N and 47°N. It covered parts of Washington, Oregon, Montana, and Idaho, in an area surrounding the Snake, Salmon and the Clearwater rivers. In 1800, there were more than 70 permanent villages ranging from 30 to 200 individuals, depending on the season and social grouping. About 300 total sites have been identified, including both camps and villages. In 1805 the Nez Perce were the largest tribe on the Columbia River Plateau, with a population of about 6,000. By the beginning of the twentieth century, however, the Nez Perce had declined to about 1,800 as a result of diseases and conflicts. William Clark met the tribe in 1805. While he, Meriwether Lewis and their men of the Lewis and Clark Expedition were crossing the Bitterroot Mountains they ran low of food, and Clark took six hunters and hurried ahead to hunt. On September 20, 1805, near the western end of the Lolo Trail, he found a small camp at the edge of the camas-digging ground that is now called Weippe Prairie. The explorers were favorably impressed by those whom they met; and, as they made the remainder of their journey to the Pacific in boats, they entrusted the keeping of their horses to "2 brothers and one son of one of the Chiefs." One of these Indians was Walammottinin (Hair Bunched and tied, but more commonly known as Twisted Hair), who became the father of Timothy, a prominent member of the "Treaty" faction in 1877. The Indians were, generally, faithful to the trust; and the party recovered their horses without serious difficulty when they returned. Henry Harmon Spalding (1803–1874), and his wife Eliza Hart Spalding (1807–1851) were prominent Presbyterian missionaries and educators in the Pacific Northwest. The Spaldings and their fellow missionaries were among the earliest Americans to travel across the western plains, through the Rocky Mountains and into the lands of the Pacific Northwest to their religious missions in what would become the states of Idaho and Washington. The Spaldings finally settled into their new home in Lapwai near present-day Lewiston, Idaho on November 29, 1836. Spalding was generally successful in his interaction with the Nez Perce, baptizing several of their leaders and teaching tribal members. Together with his wife, Eliza, he developed an appropriate written script for the Nez Perce language, and translated parts of the Bible, including the entire book of Matthew, for the use of his congregation. In fact, it was Eliza who developed a close relationship with the tribal members, learning their language and teaching them how to read and write in their own language as well as in English. Spalding was also responsible, in 1839, for bringing the first printing press into the territory. He also taught the tribe, among other things, how to use irrigation and cultivate the potato. 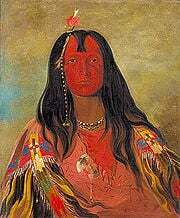 Unfortunately, Marcus and Narcissa Whitman and twelve others were murdered at their mission in Waiilatpu, Washington by several Cayuse on November 29, 1847. The Cayuse blamed them for introducing deadly diseases, including the measles, as the tribe had experienced a recent epidemic and a number of children had died. The Spalding's daughter Eliza, who was staying at the Whitman's mission school, escaped injury along with 45 other women and children. Little Eliza served as a translator, as she was the only survivor knowing the Nez Perce language. Henry Spalding learned of the murders two days later en route to the Whitman's, and narrowly escaped being killed himself during his five day trip home. After a tense month negotiating the release of the massacre survivors, protected by some friendly Nez Perce, the Spalding family evacuated down the Columbia to Oregon City, Oregon. Concerned over continuing violence between Native Americans and settlers in the area, against Spalding's wishes the ABCFM decided to make the abandonment of the mission permanent. In 1855 the Nez Perce attended the council at Walla Walla along with other Columbia Plateau tribes. Led by Chief Old Joseph who had been baptized as a Christian, they agreed to Governor Isaac Stevens' plan to open up the majority of the land to settlers and mining, with the promise that the Nez Perce would keep 10,000 square miles of their ancestral homeland including the Wallowa Valley. A gold rush to the region in the early 1860s resulted in an influx of new settlers, many of whom wished to stay in the Wallowa valley. A second council, held in 1863, proposed a further reduction in the Nez Perce lands, leaving them restricted to the area in Idaho near Lapwai. Thus, land to be given to the settlers included the Wallowa Valley. Although a faction of the tribe agreed, Old Joseph refused and on his return to the homeland tore up his Bible in disgust. Nevertheless, the Nez Perce remained peaceful until after the death of Old Joseph in 1871, and were proud to say they never killed a white person. Leadership of his band passed to his two sons, Joseph and Ollokot. When a group of white settlers moved into the Wallowa Valley and claimed land there, Joseph protested to the Indian agent. Following an investigation, President Ulysses S. Grant set aside Wallowa as reservation land. However, two years later this decision was reversed, and in May 1877 General Oliver O. Howard ordered the Nez Perce to relocate to the reservation in Idaho in 30 days; failure to do so would be considered an act of war. The flight of the non-treaty Nez Perce began on June 15, 1877, with Chief Joseph, Looking Glass, White Bird, Ollokot, Lean Elk (Poker Joe) and Toohoolhoolzote leading 800 men, women and children in an attempt to reach a peaceful sanctuary. They originally intended to seek shelter with their allies the Crow but upon the Crow's refusal to offer help they attempted to reach the camp of Lakota Chief Sitting Bull, who had fled to Canada. The Nez Perce were pursued by over 2,000 soldiers of the U.S. Army on an epic flight to freedom of over 1,170 miles (1,880 km) across four states and multiple mountain ranges. Two hundred Nez Perce warriors defeated or held off the pursuing troops in 18 battles, skirmishes, and engagements in which more than 100 soldiers and 100 Nez Perce (including women and children) were killed. ...Hear me, my chiefs, I am tired. My heart is sick and sad. From where the sun now stands, I will fight no more forever." The words of Chief Joseph came to symbolize the situation suffered by Native Americans. Although he surrendered, and his words generated great public sympathy, Chief Joseph was never allowed to return to his homeland in Wallowa Valley. He was sent to various reservations, and finally died in the Colville Reservation in Washington State "of a broken heart." 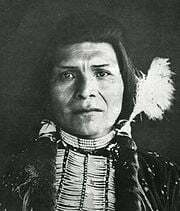 However, Chief White Bird and other Nez Perce crossed into Canada to seek sanctuary at Sitting Bull’s camp in Saskatchewan. This final stage of the flight of the Nez Perce is responsible for the introduction of the Appaloosa horse into Canada. The route of the Nez Perce flight is preserved by the Nez Perce National Historic Trail. Bear Paw Mountain Battleground, where Chief Joseph surrendered, is now a national historical site. The Nez Perce, as many western Native American tribes, were migratory and would travel in seasonal rounds, according to where the abundant food was to be found at a given time of year. This migration followed a predictable pattern from permanent winter villages through several temporary camps, nearly always returning to the same locations year after year. They were known to go as far east as the Great Plains of Montana to hunt buffalo, and as far west as the west coast. In their travels Celilo Falls was a respected and favored location to fish for salmon on the Columbia River. They relied heavily on camas gathered in the region between the Salmon and Clearwater River drainages as a food source. They speak the Nez Perce language or Niimiipuutímt, a Sahaptian language related to the several dialects of Sahaptin. The Sahaptian sub-family is one of the branches of the Plateau Penutian family (which in turn may be related to a larger Penutian grouping). The grammar of the Nez Perce language has been described in a grammar and a dictionary. The Nez Perce tell of their creation by the Coyote and the Fox. There is a large mound in the Kamiah valley that is called the "heart" because the heart of a great monster is buried there. According to the tale, before there were people in the world this monster filled the valley and would swallow all the animals. Coyote bravely took flint and wood and entered the monster's mouth and set fire to it from inside. When the beast was dead, Coyote and Fox decided to cut its body into pieces and from these pieces people the world. So the Black Feet Indians were made from the feet – the Crows and Flathead Indians from the head. The other tribes were made from the other parts and sent off to their own lands. Finally, they realized there were no people for the beautiful valley, and no pieces left from which to make them. The Coyote had few drops of the heart's blood left on his hands and when he washed his hands with water from the river he sprinkled the blood and water on the ground. From these drops the Nez Perce sprang up! The Nez Perce believed in spirits called weyekins (Wie-a-kins) which would, they thought, offer "a link to the invisible world of spiritual power." The weyekin would protect the person from harm and become their personal guardian spirit. To receive a weyekin, a young girl or boy age 12 to 15 would go to the mountains on a vision quest. The person on quest would carry no weapons, eat no food, and drink very little water. There, he or she would receive a vision of a spirit that would take the form of an animal or bird. This vision could appear physically or in a dream or trance. The weyekin was to bestow the animal's powers on its bearer—for example; a deer might give its bearer swiftness. A person's weyekin was very personal. It was rarely shared with anyone and was contemplated in private. The weyekin stayed with the person until death. 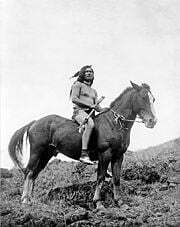 Nez Perce warrior on horse, 1910. Two Nez Perce men with an Appaloosa, about 1895. Horses were introduced into Mexico by the Spanish in the 1500s. Following the Pueblo Revolt, horses rapidly spread throughout North America, reaching the Northwest around 1700. The Nez Perce tribe became excellent horsemen and breeders, creating large herds renowned for their strength, intelligence and beauty. They took advantage of the fact that they lived in excellent horse-breeding country, relatively safe from the raids of other tribes, and developed strict breeding selection practices for their animals, establishing breeding herds by 1750. They were one of the few tribes that actively used the practice of gelding inferior male horses and trading away poorer stock to remove unsuitable animals from the gene pool, and thus were notable as horse breeders by the early nineteenth century. Early Nez Perce horses were considered to be of high quality. Meriwether Lewis of the Lewis and Clark Expedition wrote in his February 15, 1806, journal entry: "Their horses appear to be of an excellent race; they are lofty, elegantly formed, active and durable: in short many of them look like fine English coursers and would make a figure in any country." Lewis did note spotting patterns, saying, "... some of these horses are pided [pied] with large spots of white irregularly scattered and intermixed with the black brown bey [bay] or some other dark colour." By "pied," Lewis may have been referring to leopard-spotted patterns seen in the modern Appaloosa, though Lewis also noted that "much the larger portion are of a uniform colour". The Appaloosa Horse Club estimates that only about ten percent of the horses owned by the Nez Perce at the time were spotted. While the Nez Perce originally had many solid-colored horses and only began to emphasize color in their breeding some time after the visit of Lewis and Clark, by the late nineteenth century they had many spotted horses. As white settlers moved into traditional Nez Perce lands, a successful trade in horses enriched the Nez Perce. When the U.S. 7th Cavalry accepted the surrender of Chief Joseph and the remaining Nez Perce, they immediately took more than 1,000 of the tribe's horses, sold what they could and shot many of the rest. But a significant population of horses had been left behind in the Wallowa valley when the Nez Perce began their retreat, and additional animals escaped or were abandoned along the way. The Nez Perce were ultimately settled on reservation lands in north central Idaho, were allowed few horses, and were required by the Army to crossbreed with draft horses in an attempt to create farm horses. The Nez Perce tribe lost their position as breeders of Appaloosas. It was not until the late twentieth century that they would begin a program to develop a new horse breed, the Nez Perce horse, with the intent to resurrect their horse culture, tradition of selective breeding, and horsemanship. The current tribal lands consist of a reservation in north central Idaho, primarily in the Camas Prairie region south of the Clearwater River, in parts of four counties. In descending order of surface area, the counties are Nez Perce, Lewis, Idaho, and Clearwater. The total land area is about 1,195 square miles (3,100 km²), and the reservation's population at the 2000 census was 17,959. Its largest community is the city of Orofino, near its northeast corner. Lapwai, the seat of tribal government, has the highest percentage of Nez Perce people, at about 81.4 percent. Similar to the opening of lands in Oklahoma, the U.S. government opened the reservation for white settlement on November 18, 1895. The proclamation had been signed less than two weeks earlier by President Cleveland. In addition, the Colville Indian Reservation in eastern Washington contains the Joseph band of Nez Perce. The Nez Perce National Historical Park includes a research center which has the park's historical archives and library collection. It is available for on-site use in the study and interpretation of Nez Perce history and culture. Nez Perce is a highly endangered language with only a small number (probably under 100) of fluent speakers. The Nez Perce tribe is endeavoring to reintroduce the language into native usage through a revitalization program. Fishing remains an important ceremonial, subsistence, and commercial activity for the Nez Perce tribe. Nez Perce fishers participate in tribal fisheries in the mainstream Columbia River between Bonneville Dam and McNary Dam. The Nez Perce also fish for spring and summer Chinook salmon and steelhead in the Snake River and its tributaries. The Nez Perce tribe runs the Nez Perce Tribal Hatchery on the Clearwater River as well as several satellite hatchery programs. The Nez Perce tribe began a breeding program in 1994 based on crossbreeding the Appaloosa and a Central Asian breed called Akhal-Teke to produce the Nez Perce Horse. This is a program to re-establish the horse culture of the Nez Perce, a proud tradition of selective breeding and horsemanship that was destroyed in the nineteenth century. 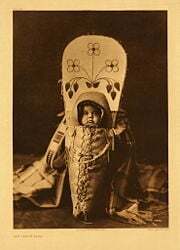 The breeding program was financed by the United States Department of Health and Human Services, the Nez Perce tribe and a nonprofit group called the First Nations Development Institute (based in Washington D.C.), which promotes such businesses in Indian country. These horses that the Nez Perce had developed were known for their speed. Old Chief Joseph was leader of the Wallowa Band and one of the first Nez Percé converts to Christianity and vigorous advocate of the tribe's early peace with whites, father of Chief Joseph (also known as Young Joseph). Chief Joseph the best-known leader of the Nez Perce, who led his people in their struggle to retain their identity, with about 60 warriors, he commanded the greatest following of the non-treaty chiefs. Ollokot, younger brother of Chief Joseph, war chief of the Wallowa band, was killed while fighting at the final battle on Snake Creek, near the Bear Paw Mountains on October 4, 1877. Looking Glass, (Allalimya Takanin) leader of the non-treaty Alpowai band and war leader, who was killed during the tribe's final battle with the US Army. Eagle from the Light, (Tipiyelehne Ka Awpo) chief of the non-treaty Lam'tama band that traveled east over the Bitterroot Mountains along with the Looking Glass band to hunt buffalo, was present at the Walla Walla Council in 1855 and supported the non-treaty faction at the Lapwai Council, refused to sign the Treaty of 1855 and 1866, left his territory on Salmon River (two miles south of Corvallis) in 1875 with part of his band, and settled down in Weiser County (Montana), joined with Shoshone Chief's Eagle's Eye. The leadership of the other Lam'tama that rested on the Salmon River was taken by old chief White Bird. Eagle From the Light did not participate in the War of 1877 because he was too far away. Peo Peo Tholekt (piyopyóot’alikt - "Bird Alighting”), a warrior who fought with distinction in every battle of the Nez Perce War, wounded in the Battle of Camas Creek. White Bird (Peo-peo-hix-hiix, piyóopiyo x̣ayx̣áyx̣ or more correctly Peopeo Kiskiok Hihih - "White Goose”), also referred to as White Pelican was war leader and tooat ([[Medicine man|Medicine man (or Shaman)]] or Prophet) of the non-treaty Lamátta or Lamtáama band, belonging to Lahmatta ("area with little snow”), by which White Bird Canyon was known to the Nez Perce, his following was second in size to Chief Joseph's. Toohoolhoolzote, was leader and tooat (medicine man (or shaman) or prophet) of the non-treaty Pikunan band; fought in the Nez Perce War after first advocating peace; died at the Battle of Bear Paw. 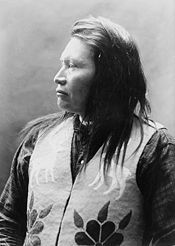 Yellow Wolf (He–Mene Mox Mox, himíin maqsmáqs, wished to be called Heinmot Hihhih or In-mat-hia-hia - "White Lightning,” c. 1855, died August 1935) was a warrior of the non-treaty Wallowa band who fought in the Nez Perce War of 1877. Timothy (Tamootsin, 1808–1891), leader of the treaty faction of the Alpowai (or Alpowa) band of the Nez Percé, the first Christian convert among the Nez Percé, was married to Tamer, a sister of Old Chief Joseph, who was baptized on the same day as Timothy. ↑ 2010 Figures for total Nez Perce community. Retrieved August 22, 2013. ↑ 2.0 2.1 2.2 Haruo Aoki, Nez Perce Dictionary (Berkeley, CA: University of California Press, 1994, ISBN 978-0520097636). ↑ Deward E. Walker (ed. ), Handbook of North American Indians:Plateau 12 (Smithsonian Institution Scholarly Press, 1998, ISBN 978-0160495144), 437–438. ↑ Since Time Immemorial Lewis & Clark Rediscovery Project, Nez Perce Tribe. Retrieved August 22, 2013. ↑ 5.0 5.1 5.2 Alvin M. Josephy, The Nez Perce Indians and the Opening of the Northwest (Mariner Books, 1997, ISBN 978-0395850114). ↑ Herbert Joseph Spinden, Nez Percé Indians (Kessinger Publishing, LLC, 2006, ISBN 978-1428623637). ↑ Deward E. Walker, Jr. and Peter N. Jones, The Nez Perce University of Washington Digital Library. Retrieved August 22, 2013. ↑ Founding Mother: Eliza Hart Spalding and the Spalding Mission Women in Idaho History. Retrieved August 23, 2013. ↑ 9.0 9.1 9.2 9.3 Carl Waldman, Atlas of the North American Indian (New York, NY: Checkmark Books, 2000, ISBN 978-0816039753). ↑ Chief Joseph Surrenders The History Place: Great Speeches. Retrieved August 23, 2013. ↑ Gail Praharenka and Bernice Niemeyer, Nez Perce Ride to Freedom Horse Magazine & Equine News. Retrieved June 4, 2013. ↑ Maps of the Nez Perce National Historic Trail US Forest Service, 2010. Retrieved August 23, 2013. ↑ Bear Paw Battlefield Nez Perce National Historical Park. Retrieved August 24, 2013. ↑ Kate and Sue McBeth, Nez Perce Creation Story University of Idaho Library. Retrieved August 23, 2013. ↑ Frederick E. Hoxie and Jay T. Nelson (eds. ), Lewis and Clark and the Indian Country: The Native American Perspective (University of Illinois Press, 2007, ISBN 978-0252074851). ↑ J.M. Cornelison, Weyekin stories. Titwatit Weyekishnim (Library of Congress, 1911). ↑ 18.0 18.1 18.2 Appaloosa History Appaloosa Horse Club. Retrieved August 23, 2013. ↑ 19.0 19.1 19.2 Gary E. Moulton, (ed. ), The Lewis and Clark Journals (Bison Books, 2004, ISBN 978-0803280397). ↑ Deb Bennett, Conquerors: The Roots of New World Horsemanship (Amigo Pubns, 1998, ISBN 978-0965853309). ↑ Bill Richardson and Dona Richardson, The Appaloosa (New York: A. S. Barnes, 1969, ISBN 978-0498067877), 24–25. ↑ Nez Perce Reservation Census of Population United States Census Bureau, 2000. Retrieved August 23, 2013. ↑ Ladd Hamilton, Heads were popping up all over the place Lewiston Morning Tribune, June 25, 1961. Retrieved August 23, 2013. ↑ Rhonda Brammer, Unruly mobs dashed to grab land when reservation opened Lewiston Morning Tribune, July 24, 1977. Retrieved August 23, 2013. ↑ 3,000 took part in "sneak" when Nez Perce Reservation was opened Lewiston Morning Tribune, November 19, 1931. Retrieved August 23, 2013. ↑ Nez Perce Reservation Spokesman-Review, December 11, 1921. Retrieved August 23, 2013. ↑ Research Center Nez Perce National Historic Park. Retrieved August 23, 2013. ↑ Nimiipuu Language Teaching and Family Learning Northwest Indian Language Institute. Retrieved August 23, 2013. ↑ Morgan Winsor, Nez Perce horse culture resurrected through new breed Idaho Natives. Retrieved August 23, 2013. ↑ Barry Rigby, Archie Phinney was a champion of Indian rights Lewiston Morning Tribune, July 3, 1990. Retrieved August 23, 2013. This page was last modified on 21 November 2018, at 17:10.